The iOS and Android ecosystems are fundamentally different. For example, the file manager thingy is one prime example. Ever since the beginning, while Steve Jobs introduced the first iPhone and iOS operating system – he was against a dedicated file manager system. With the development of iOS and introduction of App Store in the 2nd iPhone, the iPhone 3G, every file on an iPhone was designed to be taken care of by the apps on an iPhone. The basic theory is – every app on an iPhone is to be handled by an app of the relevant type. This was done to ensure security of each file and also a better management of data, in Apple’s own ways. However, things have changed. Apple products aren’t only meant for people who need an easy to use computers and smart devices like smartphones and tabs, a lot of professionals now pick Apple iPad and iPhone as a prime communication device now. File manager is an essential thing for these people, and keeping them in mind individual developers have created file managers and released them on App Store. 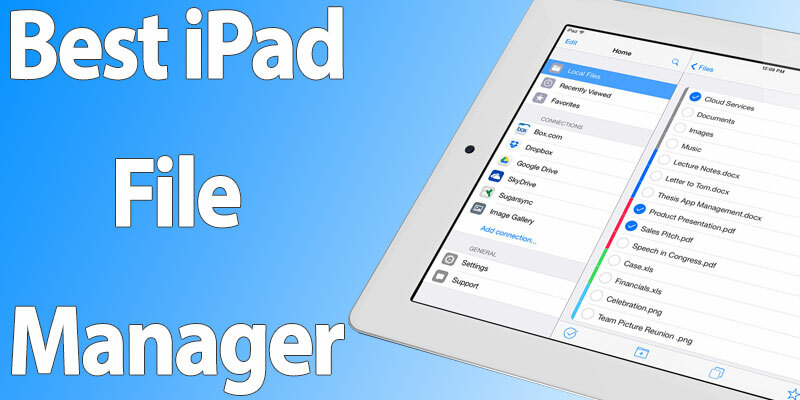 Here’s a list of the best file managers available on iOS App Store for iPad. FileMaster packs a good amount of features. iPad users have endorsed this app all over the world, at least that’s what the App Store rating tells us. All the file operations like creating new folders, arranging files within folders, features like cut, copy and paste etc. are all provided through the simplistic UI. FileMaster could also be synced with cloud storages. You can download FileMaster from App Store. In App Store rating and reviews, the WiFi File Manager is certainly the best this platform has to offer. For iPad, the app arranges the files in excellent grid style which almost looks like a computer’s file explorer software. Be it local storage or cloud, WiFi File Manager can effectively show all your files. Even the Wi-Fi access feature would allow accessing the files on an iPad through a PC or Mac. It’s free! You can download it directly from App Store. This is a paid app, priced at $5.99 in the App Store. Not only the basic file management features, but Files Finder packs a whole bunch of advanced features. All your iCloud storages could be synced in one platform so that you can access all of them seamless. There’s a built-in web browsing software as well. Download Files Finder app for iPad from App Store. This app has a very generic name, however it still provides a feature list that’s slightly above very generic. File Manager provides built-in support for PDF and Microsoft Office files, users will not need a third party office app to run these files. Even a ZIP extractor is included. Get the File Manager app for iPad for free from App Store. Default file management features like cut copy paste, renaming a file, creating folders and arranging files in folders are all easy features provided through the iFile Browser & Download Manager. 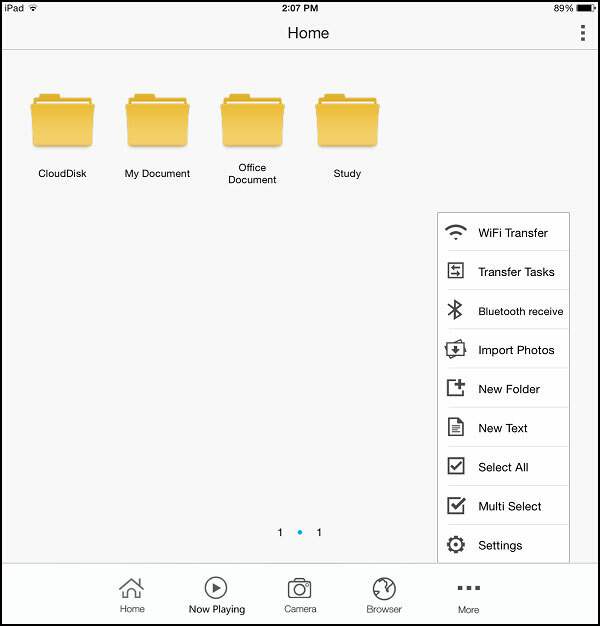 However, like a lot of other similar apps, iFile provides cloud storage access & integration too. 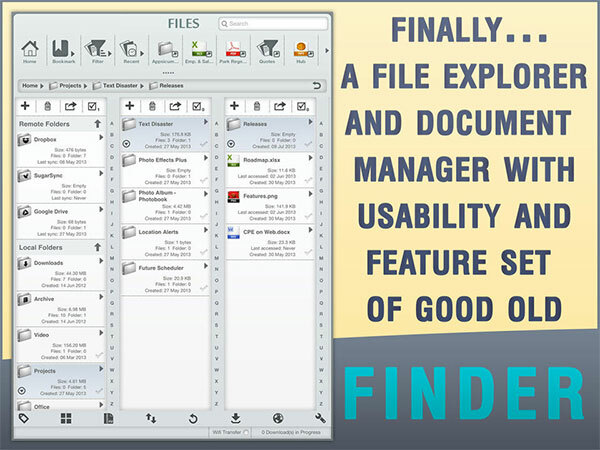 Files Finder users can even open and edit Word and Excel files without any third party app. It’s a free app and can be downloaded from App Store. Conclusion: These 5 file managers are up-voted by millions of iPad users across the world, thus you might think about giving these titles a try.